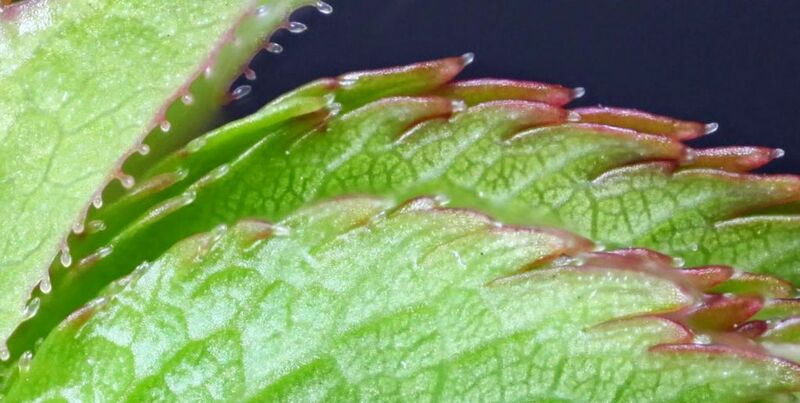 I am a newcomer to the group and I wondered if I might ask about lighting for macro photographs of fern gametophytes? I am working with a Canon 5d MkII and a Canon MP-E 5x macro lens. I'm uncertain about how to proceed with the lighting. I'd like to use bright enough lights to exclude camera-shake, but cool enough to avoid over-heating the specimens. I wondered if anyone knows whether I'd be better to mock something up with LED desk lamps, or whether it would be work trying to buy a very used example of a Canon Macro Twin Lite MT-24EX? Yours is a nice project, any chance to see the antherozoids under the microscope? About light source both electronic flash and continous illumination may work very well. A single flash unit may be enough to illuminate a difuser, no real need to buy the expensive MT24. For continuos illumination you don't need a powerfull source, a pair of inexpensive Ikea Janksjö LED lamps are very popular in forum members, a fiber optic illuminator would be even better. Continous light is more flexible to set up the sample and illumination, set your 5DII at silent mode I ( EFSC) to avoid camera induced vibration blur . 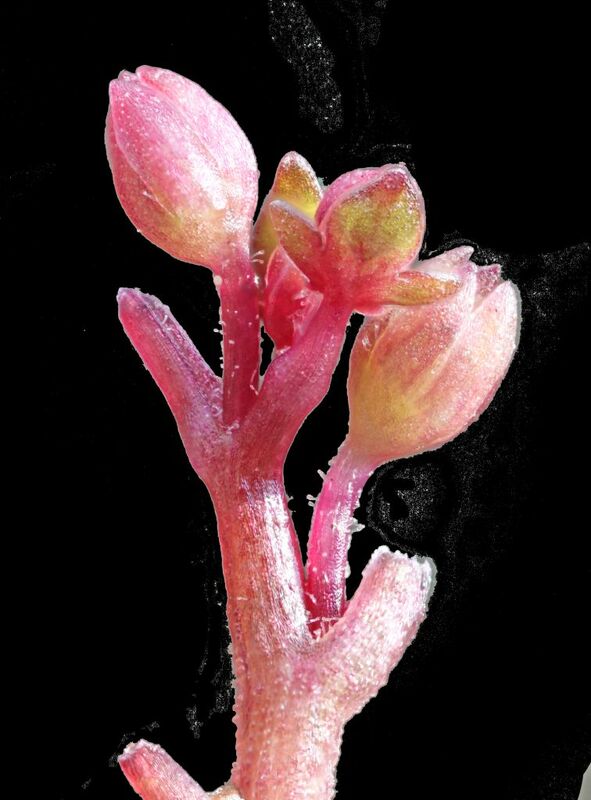 To get the full gametophyte in focus you'll need for sure to use focus stacking techniques. Another approach could be to place the sample under the microscope and do stack and stich wit a low power objective, what are the gametophyte dimensions? Ans please ask any other more specific questions and clarifications. Thanks Pau, That's really helpful. The sample was about 2mm across. 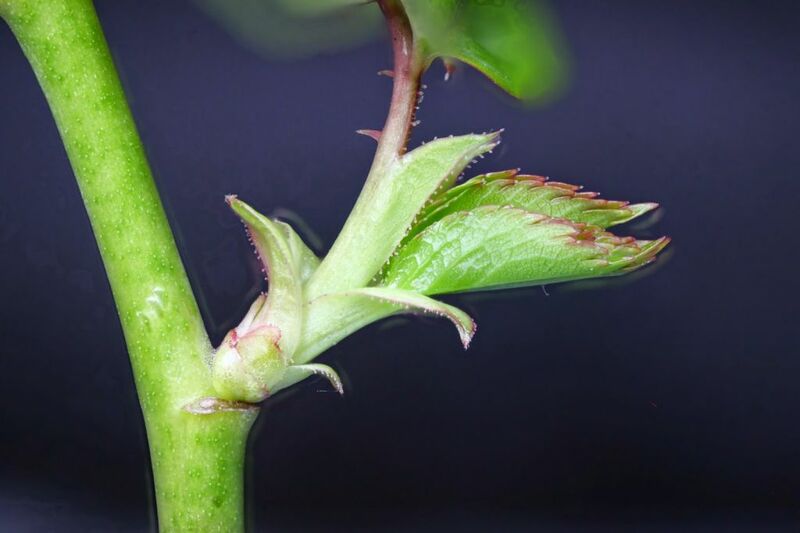 I have been working on focus stacking and hope to get that better when my next set of plants germinate. I'll have a good think about all that you've said and see what I can sort out. I wondered if anyone would have a moment to give me an opinion on a light sources for my macro project described above? I'm just thinking again about getting lighting for this project, and I wondered if you think that this 150W halogen goose neck light source would be bright enough to get a good short exposure time with my mp-e lens? I am not sure that this light will give you what you seek. I tried my 100 watt Leica twin fibre optic light with the MPE. It was offering an exposure at 400 ISO of 1/80 of a second at F 4.0. Even if we assume that the extra power of the ebay offering gives out twice as much light, that still only gives an exposure of 1/160 of a second. This quick test was done with a fairly reflective subject - a small dipteran on Baltic amber sitting on a piece of white card, so as to reflect as much light as possible into the specimen. No diffusion was in use. This is likely to take out at least one stop of light, so getting you back to about 1/80 of a second. If you use polarisation to get rid of specular reflections, then that will eat a great deal more light. The problem of an exposure with such a duration is that it is highly susceptible to vibration from the camera shutter mechanism and from outside influences. With fibre optic lights one of these influences is likely to be the cooling fan. The light in your link has forced air cooling, so has a moving fan. The fan on my Leica light is very similar to the fans of about 8 to 10 cm in diameter found in most desktop computer systems. I see that the ebay light is coming from Hong Kong, so will be subject to the collection of VAT and probably a Royal Mail or courier handling charge when it enters the UK. It may be that you can overcome all of the camera induced vibration by using the electronic first curtain live view exposure function on your camera, which eliminates any mechanical camera action until after the image has been made. Triggering the shutter by a cable release avoids any user vibrations. The EOS utility software enables you to trigger the shutter from a computer using the cable which came with your camera. The cooling fan vibrations can be overcome by setting the light on one table and working with the camera on another. You can get almost as much light out of a pair of Ikea Jansjo flexible LED lights. These cost £10 each. They run cool, so have no fans. If I were you and wanted to go the continuous light route, I might go for about 4 of them around the specimen and shine them through some sort of diffusing material. As a proof of concept, you could start with a single Jansjo. Make up a small cylinder of white paper, e.g. 80 gsm copy paper. Place the lamp head about 5 cm from the paper and at a fairly low angle so that there is no spill of light over the top of the cylinder. Then shoot with the camera in live view electronic first curtain mode. Try a few very thin slices at F 4.0 and see how the results look. It's lovely to bump into you here again. I came to forum on your recommendation after posting on the same topic at dpreview. and I wondered if you think that this 150W halogen goose neck light source would be bright enough to get a good short exposure time with my mp-e lens? I'm a little curious... why are you concerned about a "short exposure" with this subject matter? With EFSC on your Canon 5d MkII and a decent set-up you should not have vibration problems. With a stationary subject an exposure of, say, 1/2 second would not look better or worse than an exposure of, say, 1/250 (or any other "short exposure time"). There are a few things that I'd like to achieve with lighting. I want to have my specimen lit beautifully, as if it was a professional model on vogue, to really bring out the best in it. I was taught that I should have a fill light in front, one a little to the side to bring out the depth and a light at the back "like they do to highlight the hair of a model". I've looked at photos and fiddled with lighting and I think it's absolutely true that this is what is needed, and I'd like to really try to do it well. The other thing is that I've done a whole lot of focus stack runs and I don't have confidence in the results that I'm getting. But I've seen really fantastic results of similar setups from others who are photographing similar sized specimens and they are using the Canon mt-24 which is really lighting the specimen up very brightly. These photos are clearly tack sharp, which is what I want, and what I'm not getting. It's just possible that there is some tiny element of movement that I'm not controlling, and that perhaps with really good lighting I could exclude that issue entirely. Obviously the mt-24 is not going to give the finesse that I am looking for, but the IKEA lights might actually be better from that point of view. The photo above is just a single shot btw. It's not a focus stack shot. I don't have any focus stacked shots worth showing. Oh - actually these are okay. They're not quite right though, and this is just at x1 with the MP-E. I would like to go up to x5 but the image really degrades as I ratchet up the magnification. tbh I'm not that sure where I'm going wrong. Suggestion: show us what you are getting, and tell us how you have things set up. With that information, quite possibly we could make some targeted suggestions about how to improve. One possibility: at higher magnifications, it's a common mistake to stop down too far and get diffraction blur as a result. Shooting with the MP-E on 5D Mark II, something like f/4 is probably the sharpest aperture. Edit: I see that while I was typing, you posted some images. Given the new information, I'm still suspicious about stopping down too far. I must say I can't very easily, reliably, get vibration-free pictures at 5x even with EFSC, using continuous light. For 2mm wide leaves on 24 x 26, I wouldn't consider it. With say a table-top tripod on a table, pointing down at a leaf on the table, expanded Live View shows something is snoring somewhere. I blame the cat. Thanks so much for the kind offer of advice. Below is a picture of my setup. 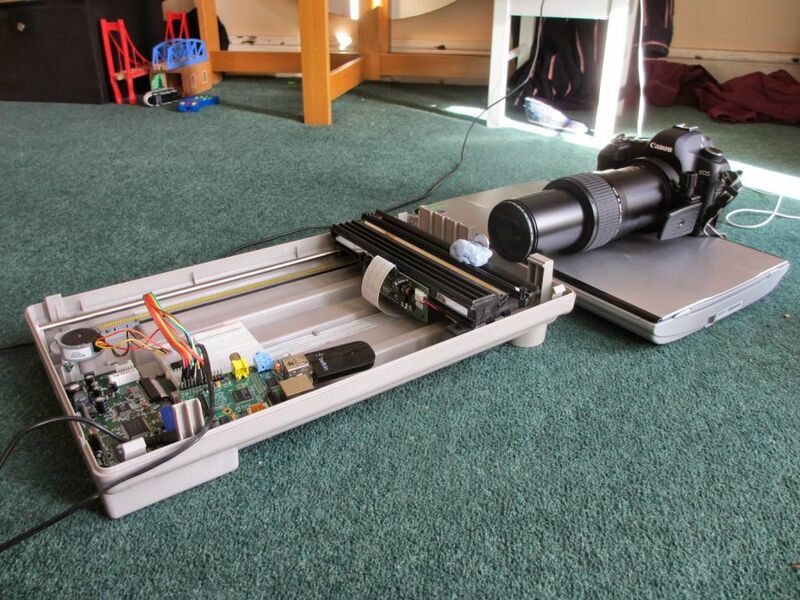 The scanner arm is controlled by a raspberry pi and advances in the smallest possible steps (I think about 0.2mm). I currently use only light from the open french windows, which can be very bright in summer, but not enough to stop vibrations using short exposure. I would totally agree about the snoring cat. I have friends at my local plant science department who deal with vibration by fixing the camera very hard to a strong inflexible plate, and the sample too, but they have more cash than I do, so that option is not open to me. I would rather use a cheap source of bright light if possible. Thanks so much for taking the time to read this. I'd be so glad of any advice that you can offer. I just checked and the rosebud slices were taken at 1/60th and f/2.8. The image of an ivy-leaved toad flax here was taken at higher magnification (about x3 or thereabouts). The lslices were taken at 1/60th second at f/3.5. It's clearly a bit weird. This coin was taken with the same setup but it was much easier to get it to stay rigid and still because coins are inherently more solid than little flappy bits of plant. This seems like a good shot to me. That's what makes me think that there may be vibration issues. 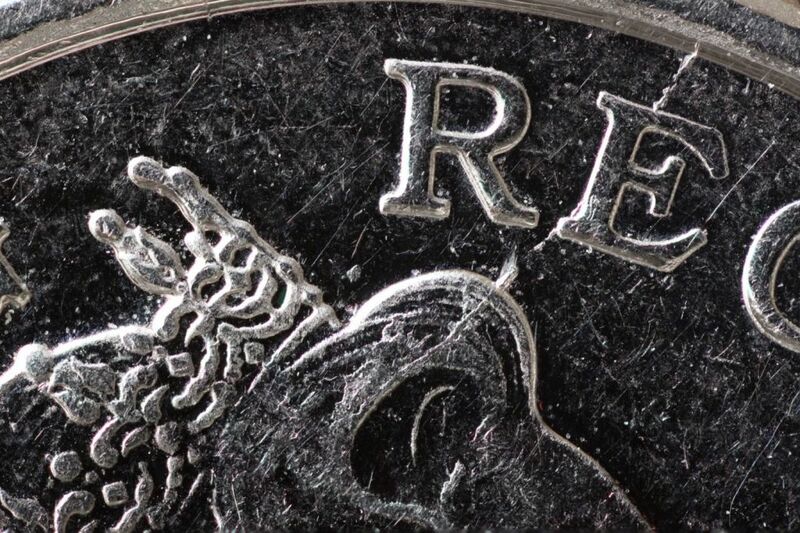 Given the coin image and the f-stops that you're using, I agree that the major problem must be vibration. Electronic flash will definitely solve that. As an alternative to the MT-24, you might consider separate inexpensive flash units such as from Yongnuo. Especially when used with radio triggers, having separate flash units can make it simpler to set up lighting arrangements like you've described. There is another potential issue, with step size. The nominal DOF at 3X and f/3.5 is only about 0.05 mm. At 5X and f/2.8, it's only about half that. If your step sizes really are limited to 0.20 mm, then at higher magnifications you'll get focus banding, with blurred areas between sharp ones. This will become more evident as those sharp areas get sharper. Focus banding is more visible with some subjects than others. 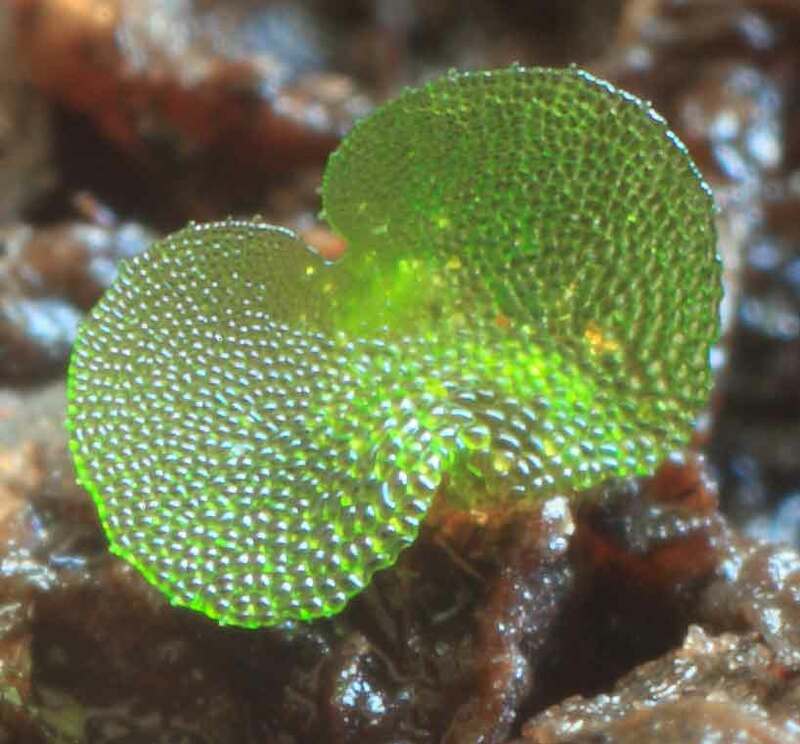 I have not worked with fern gametophytes, but they strike me as having some features similar to the compound eyes of insects: a fairly regular pattern of shiny bumps. I find this worrisome, since insect eyes tend to show focus banding worse than less regular structures such as bristle mats. If focus banding becomes a problem, and for whatever reason you're not able to use smaller steps, then one path is to stop down just until the banding disappears. This will cost you some sharpness in the sharp zones, because of diffraction, but the overall appearance will improve. One more thing... Under the higher mag conditions that you're talking about, your images will inevitably be softened by diffraction blurring. Such images can and should be sharpened pretty aggressively in post-processing, to push back up the MTF for fine detail that was pushed down by diffraction.